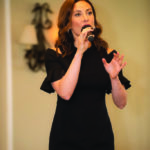 Hundreds gathered at Old Westbury Golf and Country Club to recognize honoree Donna Schlessinger and Tikkun Olam Award recipient Gale Sitomer before Tony award-winner and television actress Laura Benanti closed out the afternoon with an unforgettable performance. 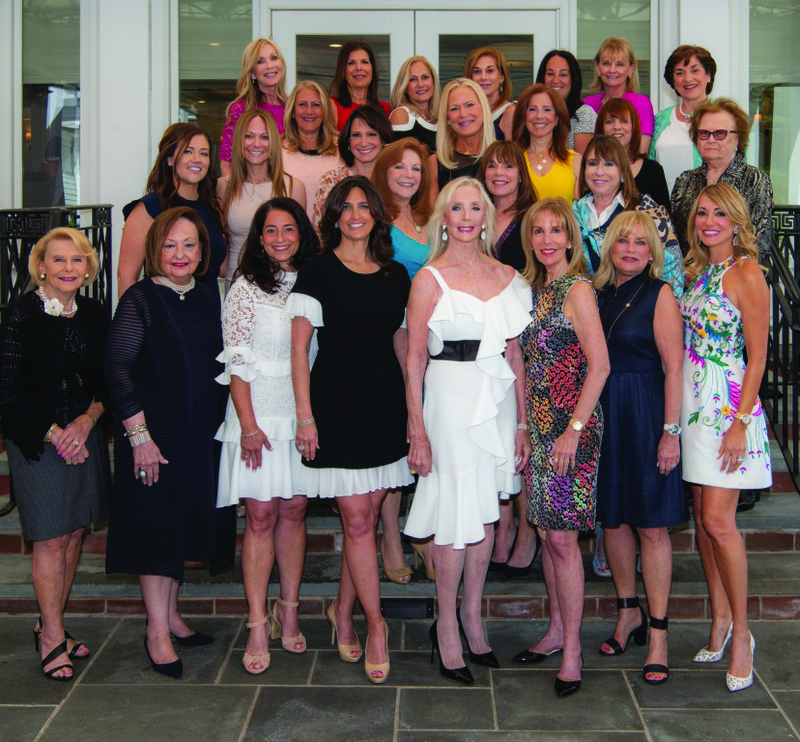 In its 15th year, the Friendship Circle Luncheon, A Yellow Rose Event, raises funds each year to improve the lives of those afflicted with dementia and other chronic conditions at any age or stage, as well as providing support and education for their families. 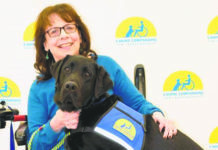 Donna Schlessinger, the founder and creative force behind Mutt Media NY LLC, a graphic and web design firm specializing in social media and email marketing for small business, is the original chair of the JCC’s Yellow Rose Society. 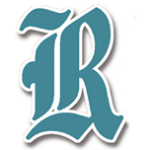 She previously served as chair of the Friendship Circle Luncheon committee. A resident of Muttontown, she is also the creative director of Schlessinger Eye & Face in Woodbury, spearheading all marketing endeavors. 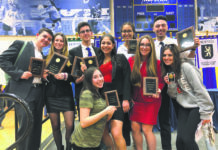 Tikkun Olum award recipient Gale Sitomer has re-defined the termed “charitable,” working tirelessly to support causes including: Special Olympics, United Cerebral Palsy, Mothers Voices, The Allen Stevenson School, Pediatric Aids and multiple breast cancer research organizations. She also serves on the board of The Michael Bolton Charities, whose current emphasis focuses on women and children affected by domestic violence in New York and Connecticut. The event kicked off with a cocktail reception and raffles followed by program presentations and entertainment presented by Americana Manhasset. The room was transfixed as Vicki Griffiths, whose husband Bobbie attends Sid Jacobson JCC’s groundbreaking adult day program for young people in their 30s, 40s and 50s with dementia, spoke, with her beloved spouse by her side. Griffiths described his transformation to the crowd. The mood lightened when Master of Ceremonies Greg Kelly welcomed newscaster and journalist Paula Zahn to the stage to present to Sitomer. 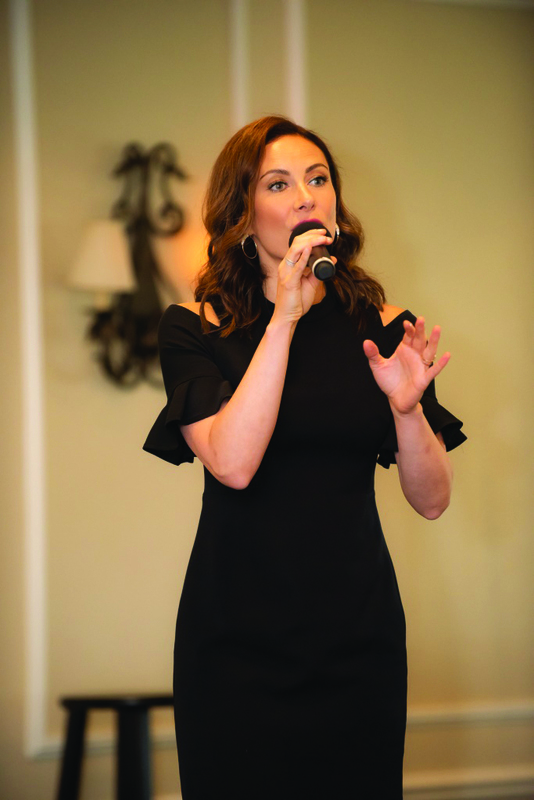 The luncheon concluded with a performance by celebrated television and stage actress Laura Benanti. Donations can still be made by visiting www.sjjcc.org/luncheon or by contacting Bridgette Troisi at 516-484-1545, ext. 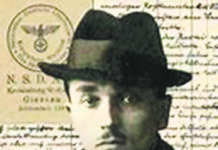 141 or btroisi@sjjcc.org.